Johannesburg and London-listed venture capital company Lonrho Africa plc (LAF) announced that it has completed the disposal of its 55% interest in Hotel Investments (Ghana) Limited (HIG) for a cash consideration of $5.40-million. HIG is the owner of the Labadi Beach Hotel in Ghana, which produced a pre-tax profit of £39,000 in the year to 30 September 2003. 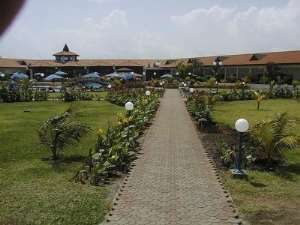 At that date, the net asset value of the Ghanaian hotel operations was approximately 2.6 million. The proceeds of sale will be used to reduce Lonrho Africa's net debt, which amounted to 3.2 million sterling at 30 September 2003.